Mt. Everest/The top of the world 8848 m. (29029ft), is located in eastern part of Nepal and Everest Base camp is the camp just to the base of the Mt. Everest where the climbers set their camp before start to conquer Mt. Everest. 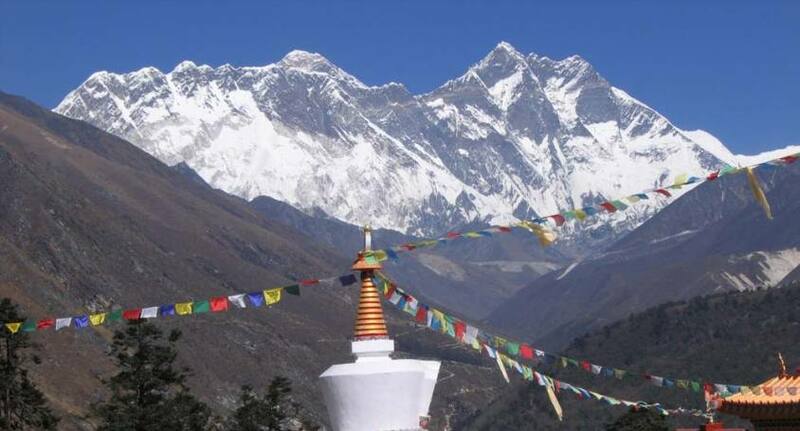 Nepal has encompassed this region in the Sagarmatha National Park, which has established to protect the fragile environment of this alpine region. Beside Mt. Everest there are three other 8000 meter peaks in this region, Lhaotse, Cho Oyu and Makalu and in addition numerous other peaks of lesser altitude. Add to this glacial lakes, rhododendron forests, native flora and fauna, traditional villages, Sherpa Culture and customs, ancient Buddhists monasteries all go to make this region a spectacular destination to all tourist around the globe. You may also dreamt / dreaming to be once to this heavens place! 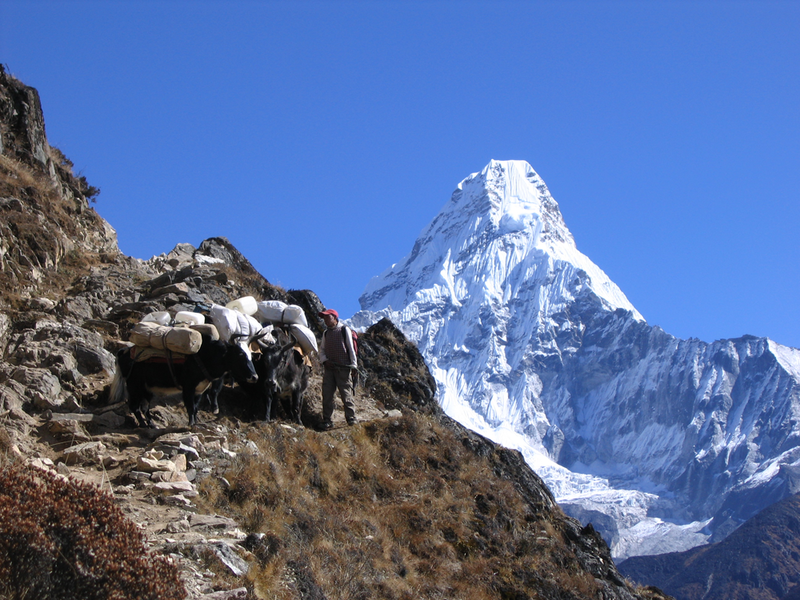 To achieve your life time dream to see The top of the world and feel very close view and feel personally about this world famous and real adventure trek in a safe and proper way is a big issue. 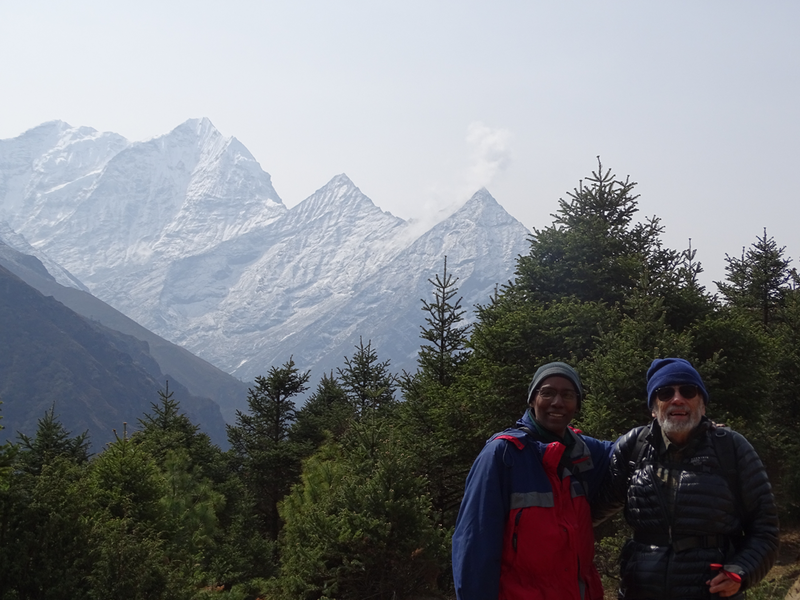 No doubt, trekking with trusted, reputed and experienced company, leading trip into Himalayas since 2 and half decades; assure safe and great adventure trip of your lifetime. 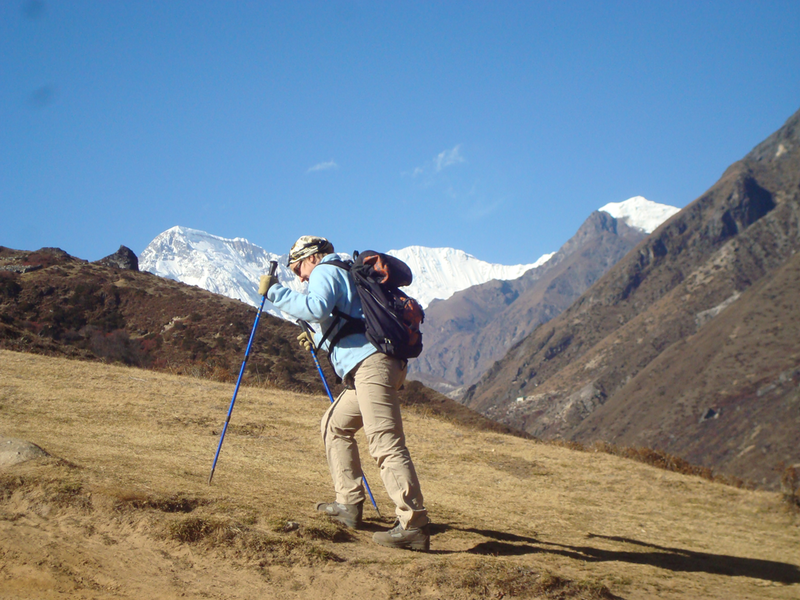 Walkers Expedition offers 11 (07+04 ) days Everest experience trek ; flying early morning to Lukla and start walking towards to Tengbohe Monastry and climb to Khumjung to view the surrounding peaks and superb view of Mt. Everest and Nuptse,. We will stay at local lodge/tea house with private twin bed room with all meals. We also customize this trip to the family members, group of friends, Students and +60 age people . Day 02Kathmandu Valley sightseeing and trek preparationAfter breakfast, proceed for sightseeing tours to world heritage sites of Pashupatinath Temple-the holiest Hindu Temple on the bank of sacred Bagmati River, Bodhanath Stupa Buddhist Stupa. Swayambhunath Stupa-the 2500 years old legendary stupa on the hillock also famous to tourist as a monkey temple. Your day tour ends Kathmandu Durbar Square Showcasing living goddess Kumari Temple, Nautale Durbar, the Kaal Bhairav, the Swet Bhairav, Indra chowk and Local market Ason and preparation for trekking. Day 03Kathmandu – Lukla (2,642m/8,668ft) – Phakding (2,562m /8,700ft): 35 min flight, 8km, 3-4 hrs Early morning transfer to the Airport for the flight Lukla: gateway to the Khumbu/Everest region. After short and last preparation after meeting the local porters and start walk downhill to Cheplung. 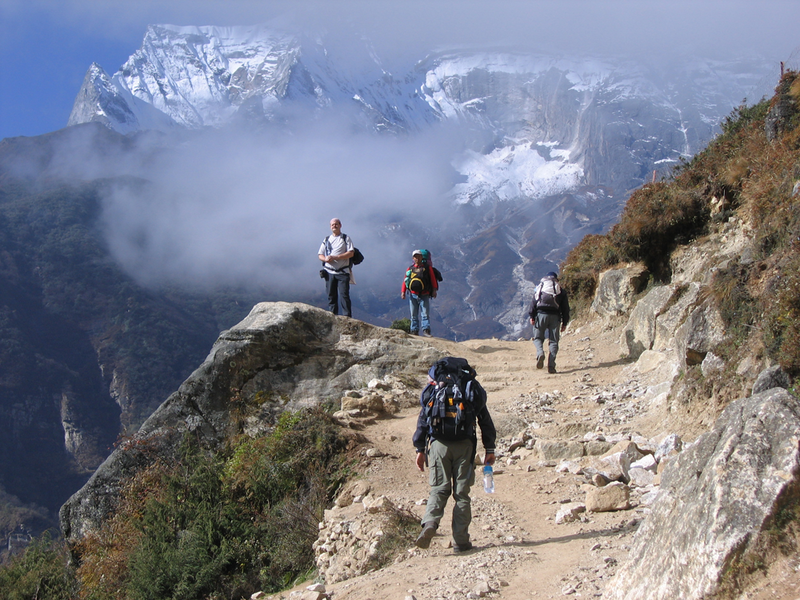 The trail then, follows the Dudh Khosi Valley before ascending to Ghat and Phakding. 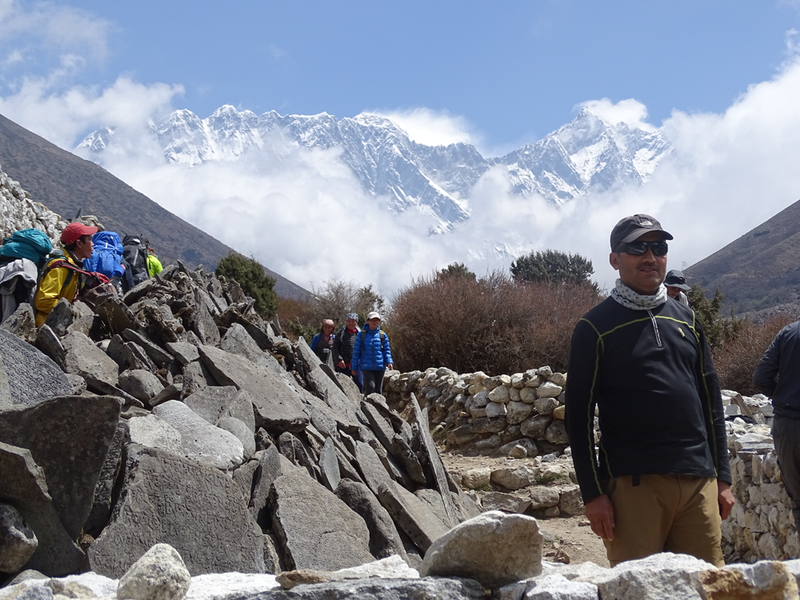 Day 04Phakding - Namche Bazaar (3,440m/11,280ft): 10km, 5-6 hrsThe trail meanders through pine forest, crossing suspension bridges and several Sherpa villages to Jorsale: entrance to the Sagarmatha National Park and permit checkpoint. First glimpse Thamserku (6,618m/21,714m) above the village. 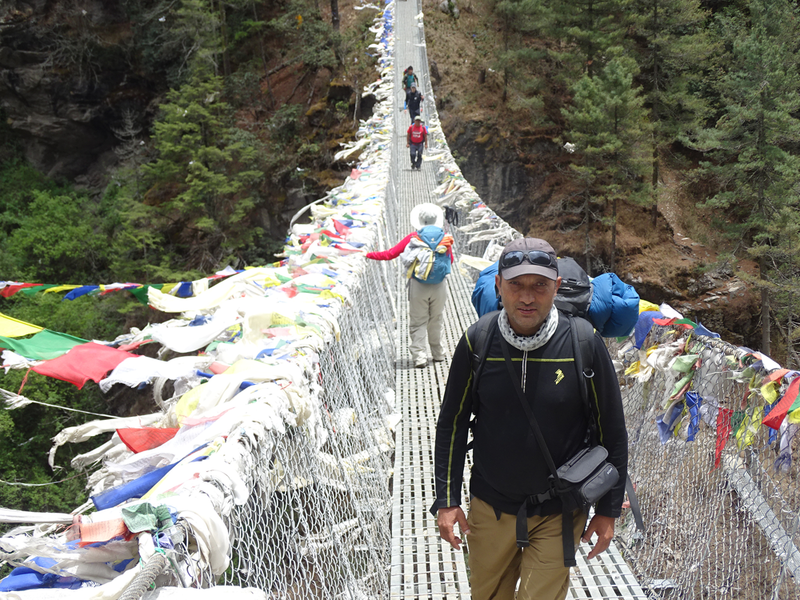 The trail continue to the Dudh Khosi Rivers then climb steadily via the high Tenzing- Hilary suspension bridge with inspiring glimpses of Everest and the Nuptse – Lhotse ridge. 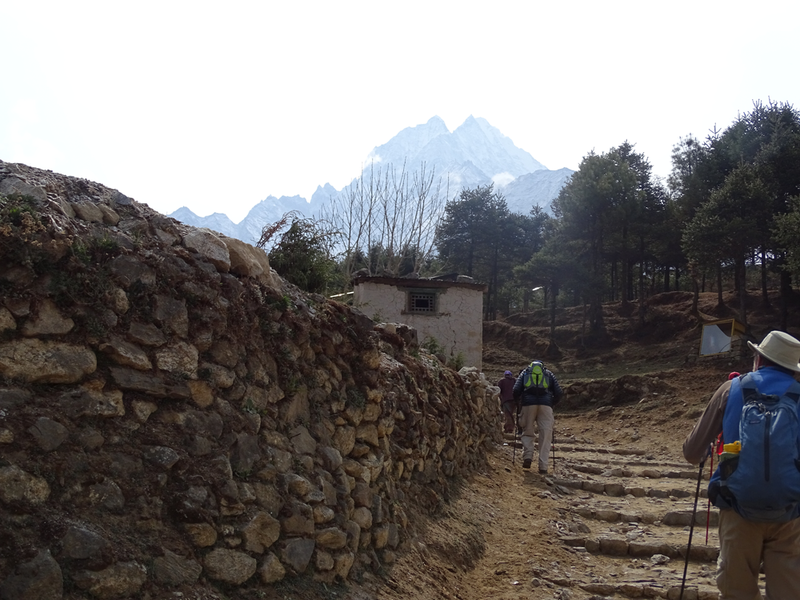 After final three hour forest ascent reaches to the local town Namche Bazaar. Th is fascinating market has ATMs, cyber cafés, delicious restaurant food and bakeries, plus a colorful market each Friday evening and Saturday morning. Day 05Namche Bazaar: Rest and exploration and overnight at SanasaAcute Mountain Sickness (AMS) and health experts recommend a stop for at least one extra night. Be active: This is a acclimatization day, climb high and sleep low is the acclimatization advice. 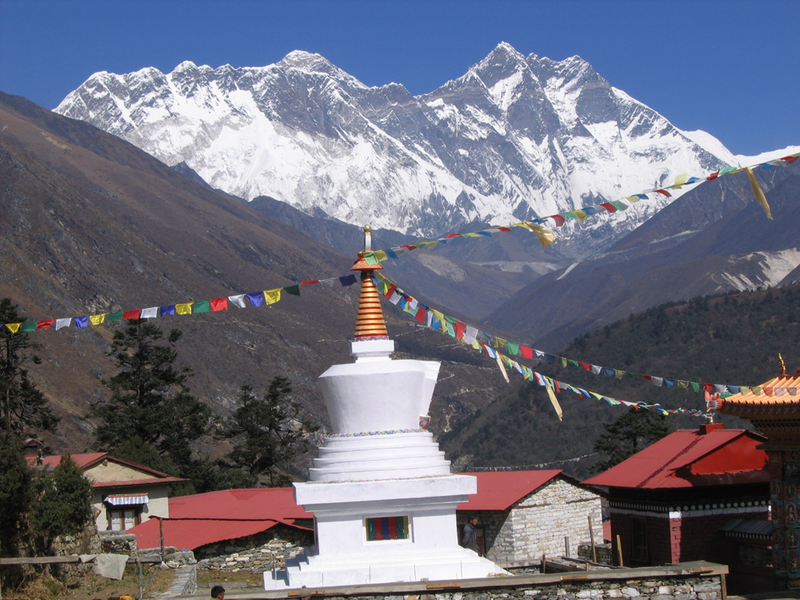 Visit the Sagarmatha National Park Visitor’s Centre where you may collect informative displays on Sherpa culture, local flora and fauna and walk to the traditional Sherpa village of Khumjung (3,780m/12,402ft): with fine views of Thamserku, Kangtega, Ama Dablam and Everest. Day 06Sanasa to Tengboche MonastryThe trail descend the hillside, offering great views. Look out for spotted deer, Himalayan thars and birds – including the colorful (male) Danphe pheasant (Nepal’s national bird). From the river bank the trail enters the Imja Khola Valley and rises, through rhododendron forest few hours uphill to Tengboche. 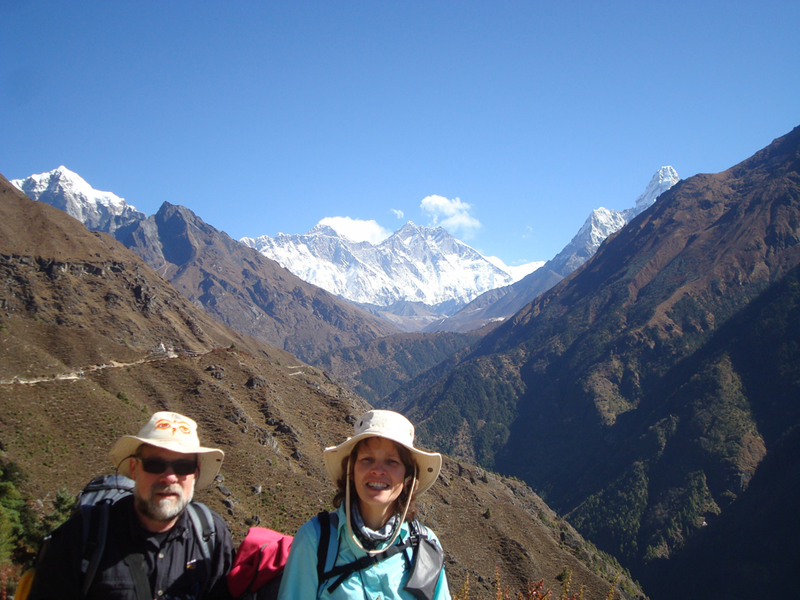 Famous Tengboche Gompa is set against the backdrop of Ama Dablam, Nuptse, Everest and other peaks. At full moon in October/November they hold the colorful Mani Rimdu festival with masked dancing and Tibetan Opera in the courtyard. You may visit the monastery during the afternoon. Day 07Tengboche to NamcheAfter 2 hours climb the trail starts gentally down to Namche and follows the steep down way to Jorsale and ends to Monjo for over night. This day have to care your knees, which may hurt during the descending. .
Day 08Namche Bazaar – Lukla (2,642m/8,668ft): 18km, 6-7 hrsFrom Monjo the trail descent shortly and climbs through to Cheplung round off the adventure with the final 700m, 35min ascent to Lukla: and say goodbye to your porters. 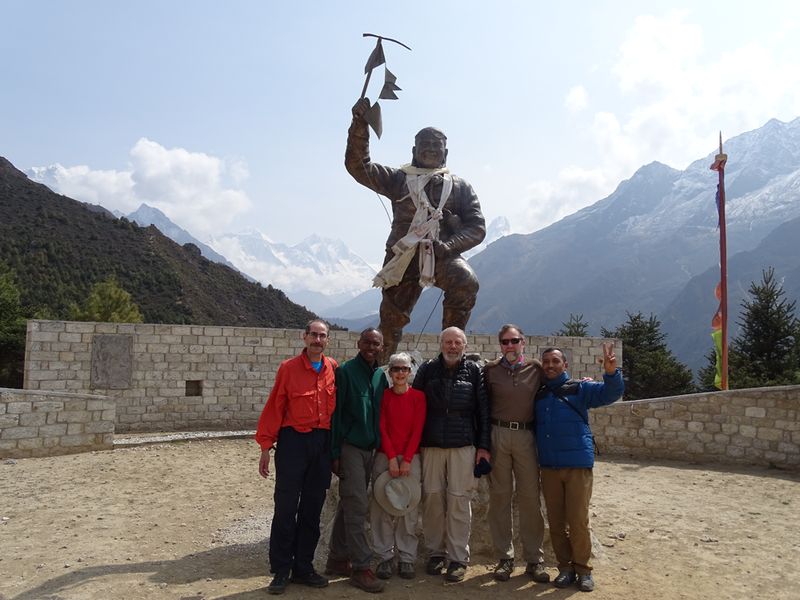 Day 09Lukla – Kathmandu (1,300m/4,264ft): 35 min flightAfter an early breakfast / tea, take the return flight to Kathmandu. Transfer to your hotel. Rest of day is free. Day 11Final departure After breakfast, transfer to Tribhuvan International Airport and farewell! Please note that cloud and turbulent weather may cause domestic flights Kathmandu/Lukla and from which may have to be delayed for a few hours or even cancelled for a day or more. Fortunately this does not happen frequently during the high seasons of March – May or September – November, but you need to plan for this possibility. As a safeguard, we recommend that you add couple of buffer days after trek before your onward destination flight.